The Lighthouse Pocket Torch has three functions: high, low and strobe, and features the very latest technology by incorporating a CREE LED providing a super bright beam from a single source. 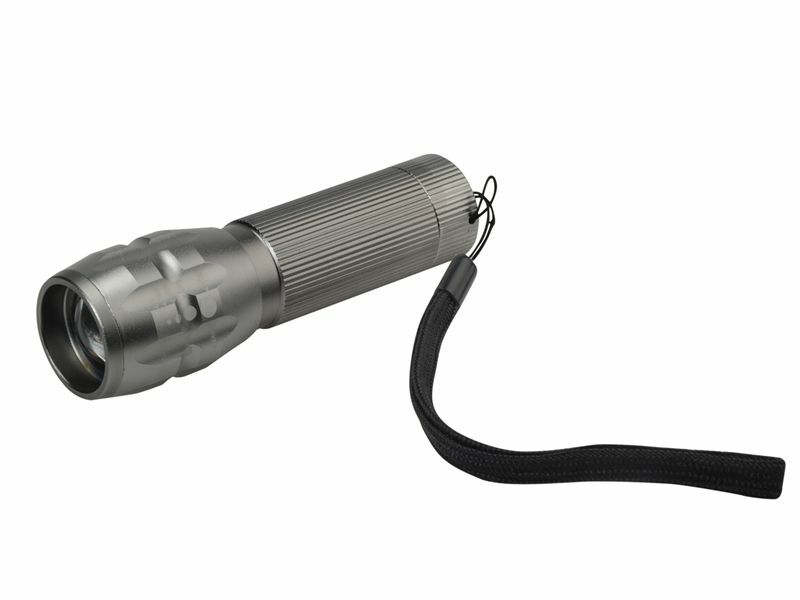 CREE LEDs are unsurpassed in both output and efficiency with a life span of over 100,000 hours and will provide a bright beam of light for up to 8 hours from one set of batteries. 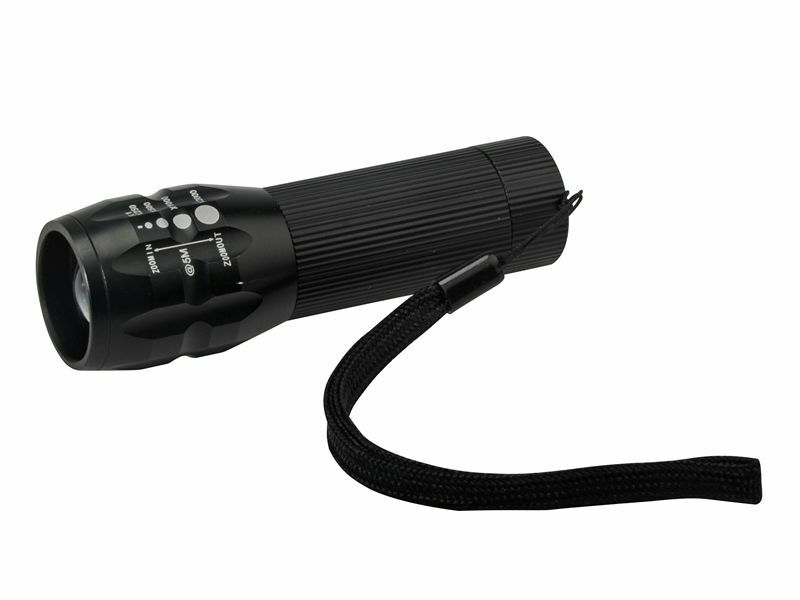 The torch has an adjustable focus the aluminium body is shockproof, rain resistant and has a handy wrist strap for added safety.